BMW’s new Joy ad campaign looks to have made it to China with the M3 Tiger – or as one Autoblog commenter called it, “the M3 by Ed Hardy.” Part of the continued celebration of a quarter century of M3s and the year of the tiger, the limited edition coupe took part in a photo shoot with a supporting cast so excited about the car they spend most of their time airborne. 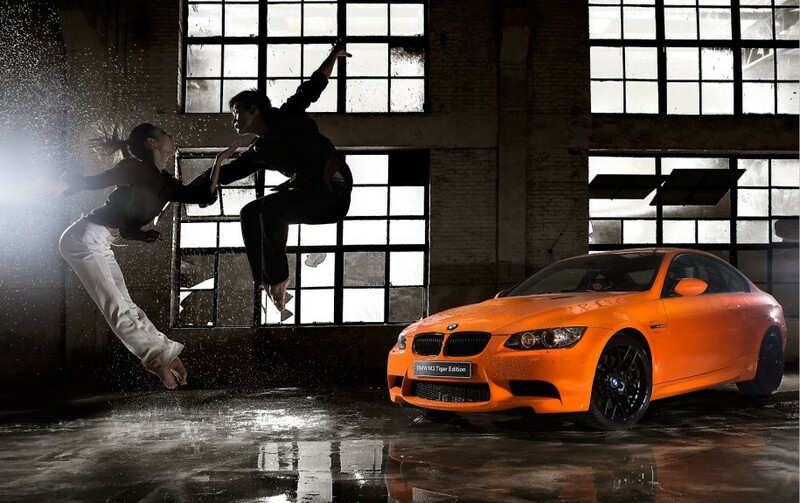 On a more mundane note, the Fire Orange Metallic M3 will have black exterior accents and 19-inch wheels, while black Novilla leather will coat the inside and orange tiger heads are embroidered into the headrests. Only 250 M3 Tigers are set for production, and that may be 249 more than the world needs. Hat tip to Ragan!